Perth has got some world-class venues going on that are unique to our quaint coastal town and are sure to impress. If you’re still scratching your head about where to take your awkward cousin / hot guy you met overseas / best mate while they’re in town, here’s a little bit of inspiration for you. When you’re mates from colder climates come to stay, the one thing that’s easiest to get smug about is the weather, 'cause we do a pretty good job of it here in Perth. With glassy blue waters and sand as fine as powder right on our doorstep, it should really be the first port of call for any self-proclaimed local tour guide trying to impress their mates. 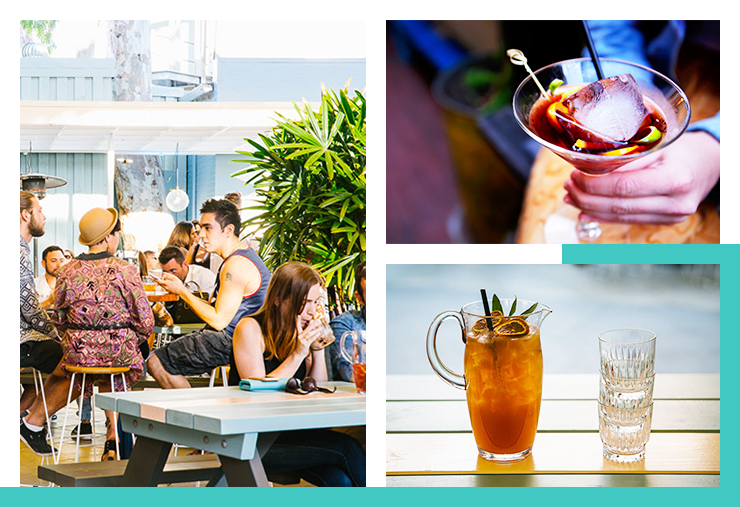 With so many good cafes and bars along the coast, we recommend a coffee at Bib & Tucker after a dip at Leighton Beach, an Aperol Spritz at The Shorehouse after a swim at Swanny or brunch at Tropico after a sunbake at North Beach. 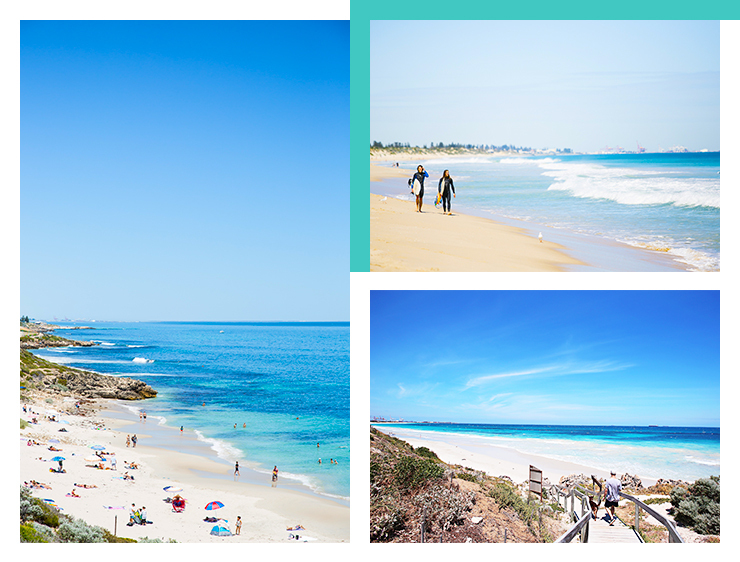 If you want to take them somewhere a little bit secluded, check out our fave secret beaches in Perth. Under the Bridge Food Trucks—Running on Mondays until the end of March, head here for Perth’s best street food on the wharf with live local music. Twilight Hawkers Market—Every kind of food you could ever want and need in the one spot, these markets run every Friday night until the end of April. Monday Night Markets Inglewood—This mini street fest is on every Monday until the end of March. Think legendary food trucks and CocoWhip for dessert. 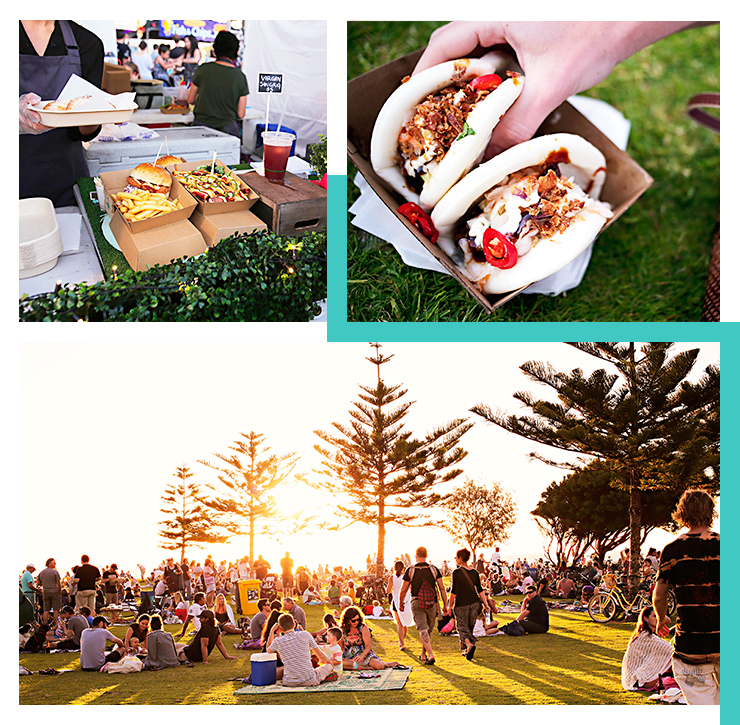 South Beach Sunset Markets—Running for the rest of March and into April if the weather plays nice, this utopic, green grassy land of dreadlocks, patchouli and reggae is just the place to take your mates. 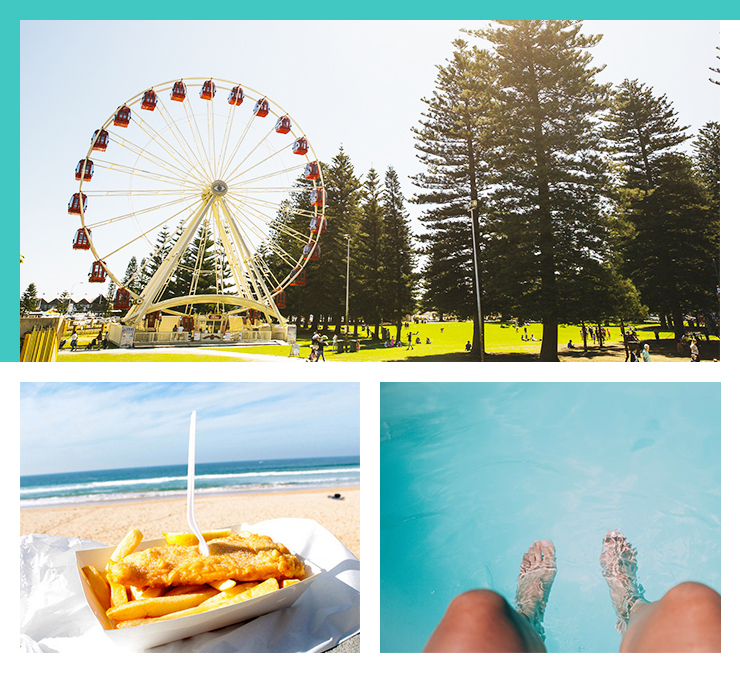 Head in for a sunset swim, dry off and grab some dinner from one of the many food trucks. Night Noodle Markets—If you're out-of-towners are here between 22 March and 2 April, take them here immediately! Food from Low Key Chow House, Apple Daily, Lucky Chan’s and the like at Elizabeth Quay and a pretty view of the swan river. Civic Gardens—Perth’s most beautiful and best-kept secret, grab some fish and chips, a few beers and come and picnic till your heart's content. Serpentine Falls—If the beach is too windy, head here for a day trip, hike and a swim under a waterfall. Monument Hill—For picnics and hangs. Show your mates the quintessential Freo experience with panoramic views of our port town and its lovely red cranes. Black Diamond Lake Day Trip—A crystal blue limestone lake in the middle of nowhere with rope swings and inflatable flamingos (BYO flamingos). Kings Park—It wouldn't be a trip to Perth without visiting Kings Park now, would it? Il Lido—Show them Cottesloe beach and then head here for a simple but delish breakfast. Il Lido also makes the cut for long lunches, drinks and dinner. Just try not to stay all day, there's a lot of other stuff to show your out-of-towners! Mary Street Bakery—A breakfast institution in Perth, there's a reason these guys are about to open their fourth location. Head to Mount Lawley or West Leedy for a leisurely breakfast. Hylin—If you're going here on the weekend go early before the crowds arrive! May Street Larder—There is nothing on this menu that won't impress! Jack & Jill—Take a trip to the Perth hills and visit Jack & Jill for an epic breakfast. The smashed avo here has been touted as one of the best in WA! Low Key Chow House—Instead of choosing between Chinese, Vietnamese, Korean and Thai, why not have it all? Shared, modern, Asian-fusion. 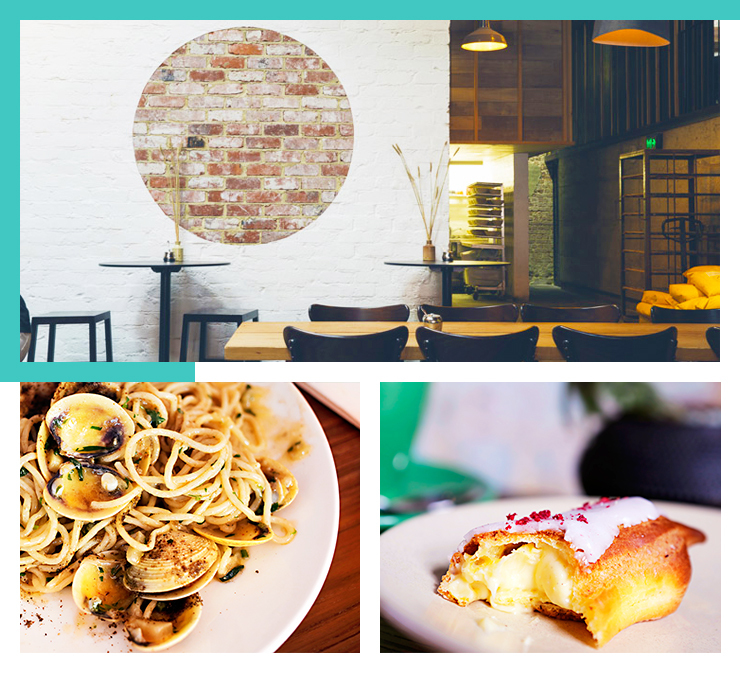 Lulu La Delizia—Incredible Italian food, a killer wine menu and homely vibes, what more could you want? Bread in Common—Communal dining, in house baked bread and warehouse vibes—perfect for your mates that love good wine. Long Chim—Thai street food done right. Brika—A Greek mezze bar with ouzo, melt-in-your-mouth grilled cheese and slow cooked lamb. Lucky Chans Laundry + Noodle Bar—Northbridge’s incognito ramen temple, complete with three stories, pigs ears for entrée and a Godzilla Bowl challenge (two servings of ramen and your picture goes on the wall of fame forever). Get a spot on the rooftop to really impress. Rodney’s Bait and Tackle—A boat inside a bar with the charm of an old sailor, live jazz and the best home-made pies going around. Petition Wine Bar—When you’re feeling expensive; drink wine, eat oysters and repeat. The Blue Flamingo—Leedy’s Californian-inspired bar, these guys supply the best tequila cocktails to wash down your Cuban pork sandwich and chilli mussels. Little Creatures—After a day wandering the streets of Freo, Little Creatures is the perfect spot to unwind with a beer and some frites. The Flour Factory—NY style deli meets Spanish bodega meets 100-year-old flour mill meets roof top bar meets massive fortified wine collection = happiness. Late Night Valentine—Moody red lighting, velvet booths and good DJ’s, what more could you need? The Ellington Jazz Club—Serious about their jazz, this is the meeting place of some of Australia’s best jazz musicians. The Jazz Cellar—Enter the basement through a red telephone booth to experience jazz sung by men in Hawaiian shirts, oh and it's BYO food and wine. Need we say more? Mojos—Some 30 years on, this North Freo institution boasts some of the best local and international live music going around. Swallow Bar —Jazz that’s free...the best kind of jazz. The Oddfellow—Top shelf whiskey in the Norfolk Basement and live music late into the night. Strange Company—For boutique everything (beers, ciders and amazing cocktails) and Sunday jazz.